It’s been over two weeks since I’ve seen my good friend Danielle and I’m very excited about picking her up at the airport tomorrow. We’ve become so accustomed to seeing each other several times a week and so it always feels like something is missing when one of us goes out of town for an extended period of time. We met this past fall in grad school and I knew she lived close by but we didn’t really start hanging out until one night I asked her if she wanted to join me on a walk along the seawall with my dog. After that, it became a habit and I didn’t really know if she was walking with me in the evenings to be polite or if she really enjoyed my company (first date nervousness). After a while, she started asking ME if I wanted to go for a walk and thats when I knew the feeling was mutual (no more first date nervousness, haha). We just hit it off so well and it’s just so nice to have such a good friend close by. We go for nice long evening walks along the seawall or Stanley Park and we both find it so therapeutic to help us unwind at the end of the day. Plus, the dog gets a nice long walk out of it and some good exercise — though really — the humans benefit more from it. At the height of it, I’m pretty we were seeing each other 6-days a week from walking to being in class together to bumping into each other on campus! So where does this story take us? 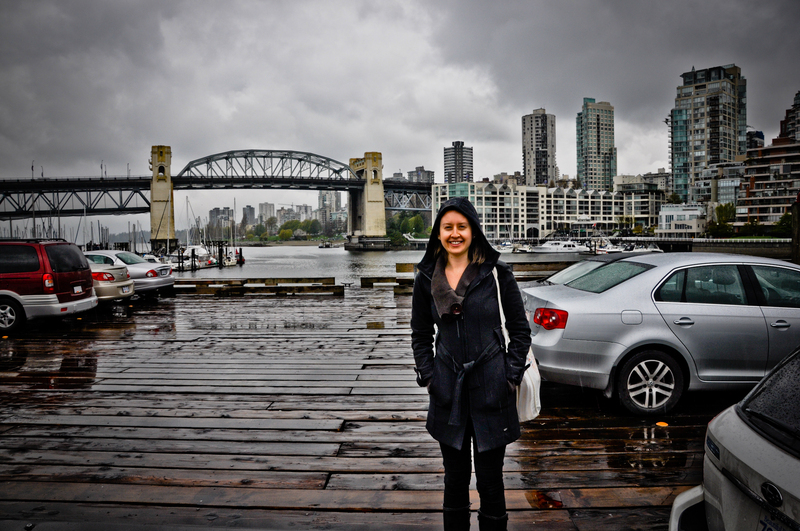 Well, I was going through my camera and found some photos of us at Granville Island last month. One of our last mini-outings together before she left. And it made me happy to look at them again. 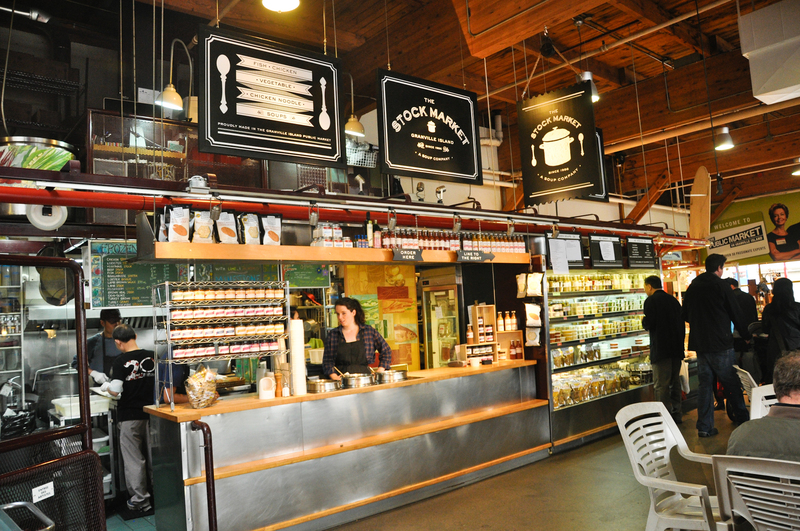 I love walking through the markets looking at the beautiful display of fruits and vegetables. 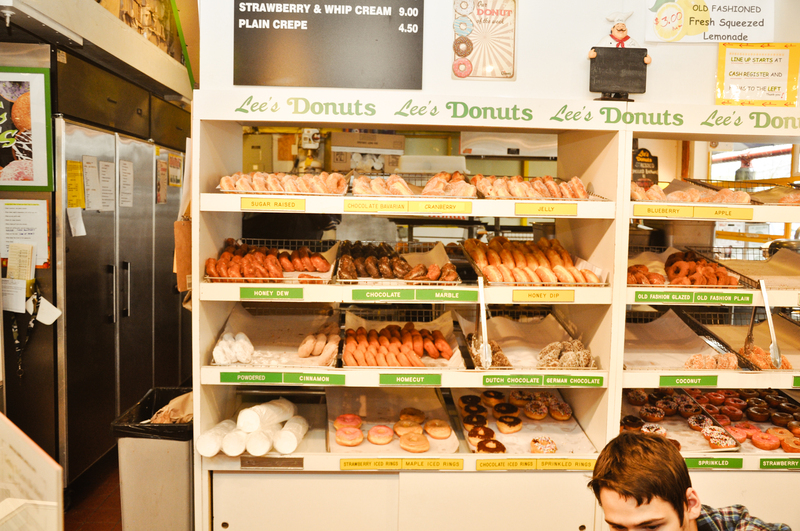 Though really, there are only two stops I make on a regular basis: Seigels Bagels (Kits location still much better) and Lee’s DONUTS!! Donuts are my weakness. I bought a half dozen box for myself. I can’t control myself. If Danielle weren’t there I would have probably bought a dozen.